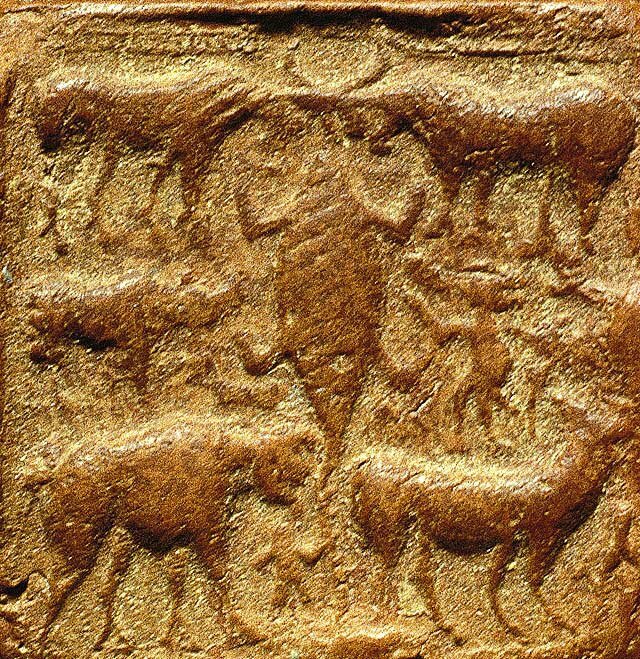 Sealing from Mohenjo-daro depicting a collection of animals and some script symbols. This terra cotta sealing may have been used in specific rituals as a narrative token that tells the story of an important myth. See also Rare Three Animal Seal from Mohenjo-daro.